Now, if you don't already know what FusionConf is, I'm going to tell you what it is, what I liked the most, and what to expect at future conferences. 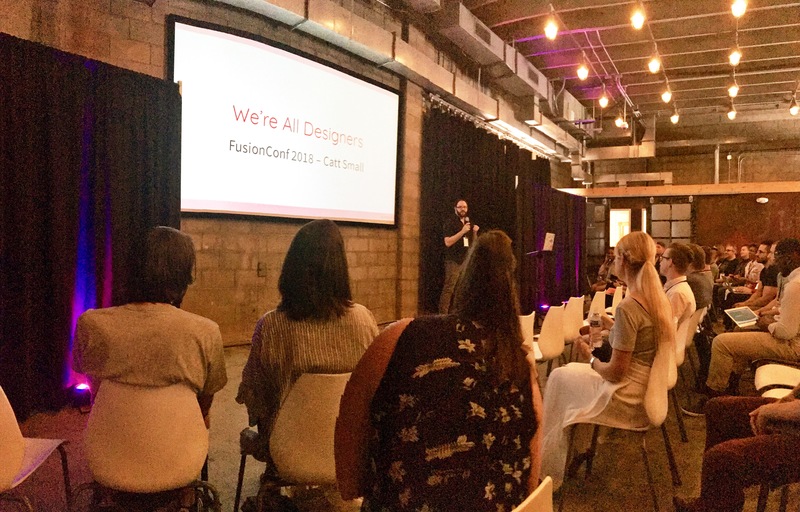 FusionConf is a mini conference that takes place every quarter, incorporating web design, user experience, and development best practices. Now coming from a product background at a software company, my knowledge was already on the product side - but I desired to learn more about how UX and web design can make Laire Group's processes more efficient.It's where marketing, design, UX, and development folks come together to learn about industry trends from thought leaders and top talent around the country. Essentially, your "product" teams gather to learn how to design and develop products that help people. My main takeaways cover a few key areas that I think every growing, ambitious business should keep in mind. While looking at a beautiful website is "pleasing" to the eye... it means nothing when it's not fulfilling its purpose! If it's not helping the user learn about your company or complete an important task, your user will likely be even more frustrated than the reverse scenario. Imagine navigating to your mobile bank application to transfer money from your savings into your checking and the "transfer" button doesn't work or you can't see it within a crowded design. Frustrating right? It could have looked as pretty or as ugly as ever, but at the end of the day, it didn't help you achieve your goal. Coming face-to-face with a website or product that 1) follows design best practices and 2) helps me find what I'm looking for, is much more satisfying, exciting, and beneficial for me. The colors for your fonts are too light and don't meet the needs of the disabled. When a hard of seeing person is looking at your website, the font or background must be dark enough for them to distinguish your font from the background color. Someone is signing up for an account and there is not an option for the year they are born - the same goes for applying for a job! The speaker at the conference told us that this happened to a major corporation and they were sued for age discrimination for millions of dollars. Don't forget about accessibility when you're designing your website or a product. Make sure to meet the needs of all of your users, it could have a huge impact on your business. While I didn't plan on learning about leadership tips at the conference, I got a huge value-add out of Adam Iscrupe. His set was called, "Don't Be a Boss, Be a Coach" and he not only talked about his experiences, but he told us steps on how to be a better leader and facilitate an environment where your employees will grow professionally. As a growing business, you might be setting up internal processes like on-boarding a new employee or setting up an individual development plan for people on your team. As a manager or boss (or whatever you "label" yourself as), how are you guiding the experience your employees have with your brand? Are you giving them opportunities to grow? Are you understanding what they like? What are they good at? What can you do to help them be most efficient, and in turn, make your business more efficient? Adam talks about the 30/60/90 on-boarding plan and the 1:1 development plan that you should use to help you be more successful. In your employee's first 30 days, they should tour the office, schedule 1 to 1 meetings with your managers, set up introductions with team members, attend meetings, join Slack channels (team chat groups), attend lunch and learns, happy hour, workshops, do "light" tasks, learn software programs the team is using, and ask tons of questions. In your employee's first 60 days, they should start to understand your processes, develop a common vocabulary with the team, understand where they fit in, understand projects, navigate in the new software programs, give timelines, and communicate with upper management. In your first 90 days, they should start coming up with solutions, capable of giving accurate timelines on projects, be fully comfortable in programs, be able to communication with teams, work on small projects, and start to work on larger projects. You can read more in the template that Adam provided here. There were two speakers that I really resonated with; John Blackwell, UX Manager at CapTech and Jennifer Noinaj, UX Designer at the United States Digital Service (USDS). John Blackwell started off talking about how it's easy to shelter yourself from other people's views online. Like "hiding posts on Facebook that make you feel uncomfortable," well, think about it like this. If you hide opposing views or stay close-minded, how can you gain a better understanding of how other people think? In design, you have to design for people. Those people aren't you. By opening yourself up and learning about what affects other people, you can become a better designer. His talk was called Diversity in Design, check it out here. Jennifer Noinaj's talk was truly inspiring. She wants to make an impact on people's lives and found that design can do that in so many different ways. Like civic design - like how Austin, Texas is overcrowded and the city planners aren't designing for the people... they need bigger roads, more housing, etc. Or how improving the process that people go through when becoming a United States citizen. For example, in many other companies you have to fill out piles and piles of paperwork, but while working at the USDS, she was able to improve that experience for people with an online application. (In fact, the lady next to me had just become a U.S. citizen and told me how enjoyable the experience was!) Design impacts so many areas of people's lives and we have to be open to understanding and learning how it impacts others! You can go through her SlideShare powerpoint here. Overall FusionConf was a great addition and I look forward to going back! 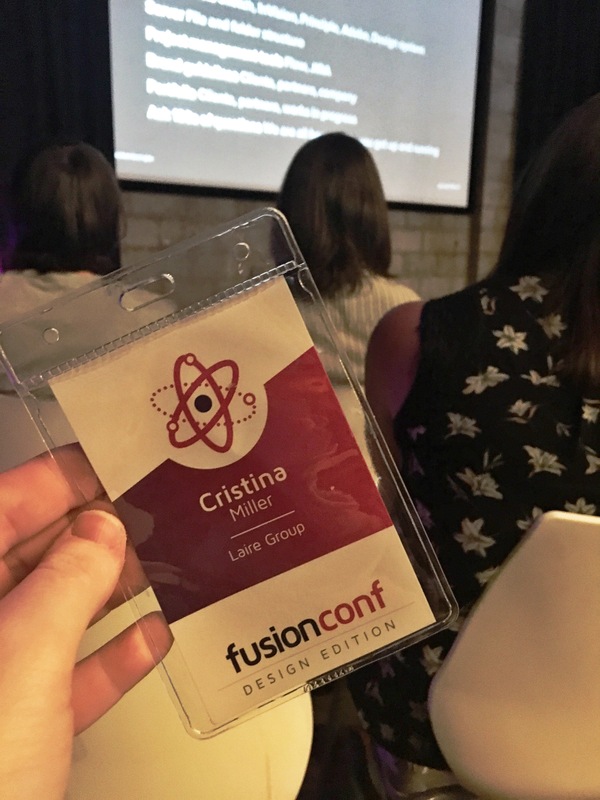 If you're looking to understand how to leverage design best practices, I recommend going to the FusionConf, it might just change your perspective on how you choose to grow your business or your priorities. Remember, be mindful of the impact that design has on others, from the design of your website, to the product you build. You never know how you'll make the other person feel. Speaking of design, UI/UX and user delight, how is your company website doing in these categories? Get your copy of the guide for making your website the best it can be. 25 tips to boot! One part artist, one part curious, two parts strategist, three parts results-driven. Cristina is a team player who believes that a little encouragement, transparency, and hard work goes a long way. 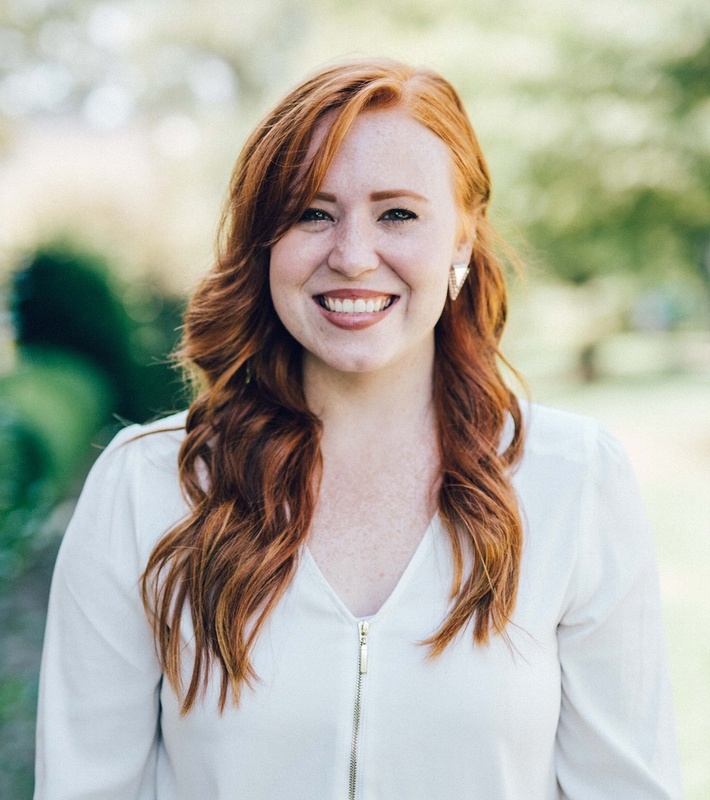 As Digital Marketing Manager with Laire Group Marketing, she leverages her love of learning and passion for design, marketing, and business strategy to help companies produce quality leads and achieve success.